Soccer is a global phenomenon. It can be easy to forget here in Europe, the heart of football, a continent whose core has less than half a billion people, that there are billions of people on our planet. And where are the lion’s share of all those potential soccer fans? The answer is easy – they are in the most populous region of the globe, in China. 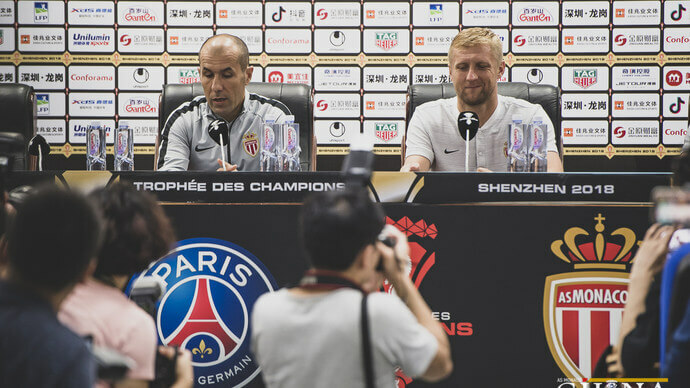 So when ASM had the incredible opportunity to fight out a Championship match against PSG in Shenzhen, more than just football was on the Club’s mind. This is a route well-travelled for the great soccer clubs in the world. 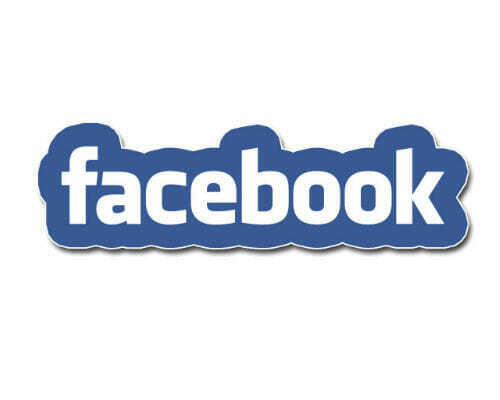 The goal, other than the one with four posts, of course, is to build a powerful global brand. It is to monetize everything ASM has achieved by becoming recognizable everywhere in the world. 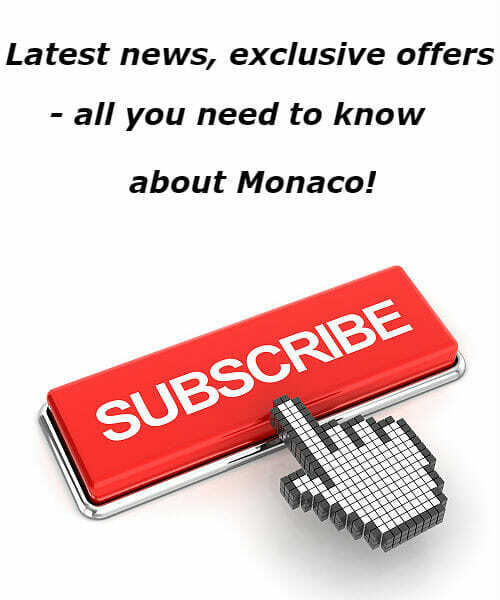 It is the same objective that the Principality has for itself, even if progress is a little more advanced in Monaco’s case. All eyes now on Asia and particularly China with ASM’s first match in that ancient Oriental Kingdom. The Championship match was of course against PSG which pits the league champions against the winner of the “Coupe de France” for the Trophy of the Champions. It is a chance for the Chinese to see on their own turf an exhibition of soccer skill by the star names they are so eager to watch live. They have already developed a thirst to see Neymar at PSG. Now there is an additional buzz, after his world cup performance, about Mbappe who everyone knows was trained at ASM. Off the field there is furious activity on branding, including setting up a Web presence in China. ASM already have 8 million Web subscribers. This number should explode after setting up three new specialized sites in China on Weibo, Toutiao and Dongqiudi (aka All Football). Weibio is the premier site with over 300 million followers. Toutiao covers football and entertainment with an audience of about 350 million. 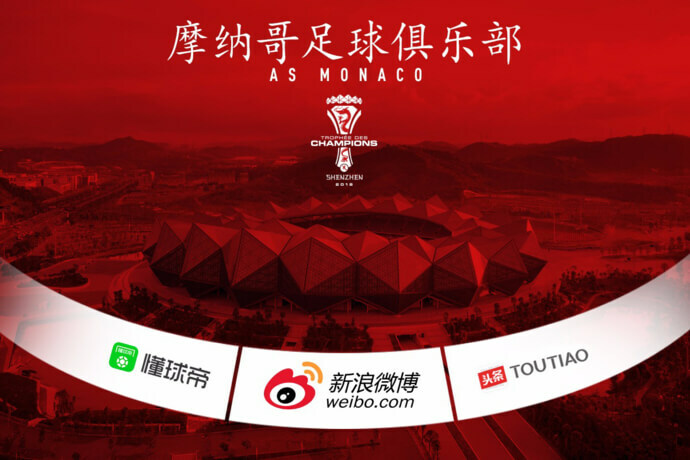 ASM has hired a local specialist Agency, Future Arena, to design and publish their Web sites in Chinese. There are a battery of PR photo-ops starting with a fans’ breakfast with Coach Leonardo Jadim and Club Ambassador Ludovic Giuly. It’s physical on and off the pitch with an entertaining session of Kung Fu featuring Jemerson, Diego Benaglio, Ronael Pierre-Gabriel, Youri Telemans, Antonio Barreca and Pele. Falcao and Jardim are ever-busy with TV channels and journalists. Add a concert with children at the hotel and autograph signing – this is the world at the pinnacle of soccer. And not to forget there was the Championship match to be played. The first half against PSG could have gone either way with ASM creating several opportunities but just could not get the ball in the back of the net. The second half was all PSG who secured their eighth Trophy of the Champions with a win of 4 to 0 with a double by Di Mario. So the rivalry between ASM and PSG has taken on a new dimension. This is a new frontier where ASM is rising to the challenge to be a household name in Asia. Brand Monaco and brand ASM have taken root in a market with an audience of billions.